Gain access to a massive audience of more than hundreds of people paying and loading. TouchPay™ offers advertisers integrated advertising and promotional programs to reach your highly affluent and educated audience of bill payers. As evidenced by the developing trends in the advertising market, digital advertising is at the forefront of industry. TouchPay™ Advertising has proven its significance and timeliness as one of the most effective tools to promote products and services. TouchPay™ Advertising is an interactive platform that facilitates a single-point interaction with an end-user directly from the screens of Payment terminals. 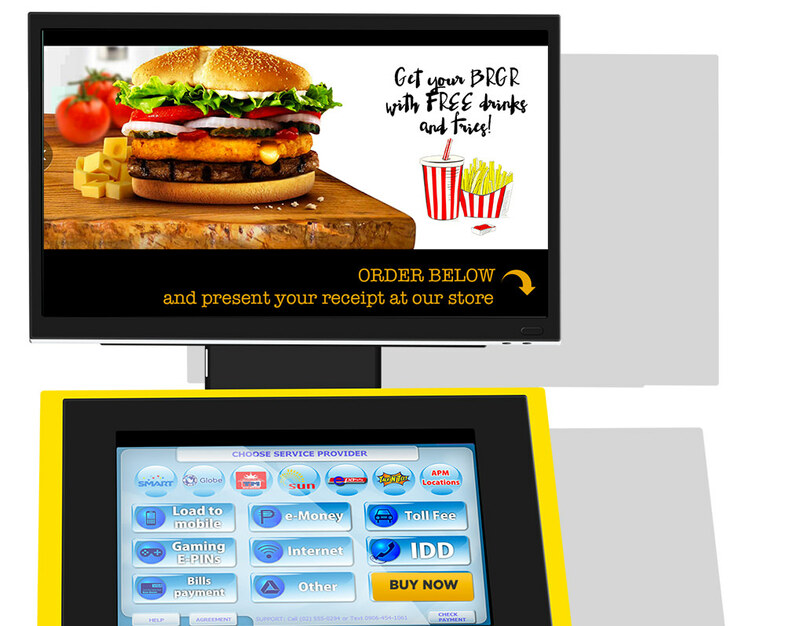 TouchPay™ Advertising is the most effective and efficient means of interactive communication!